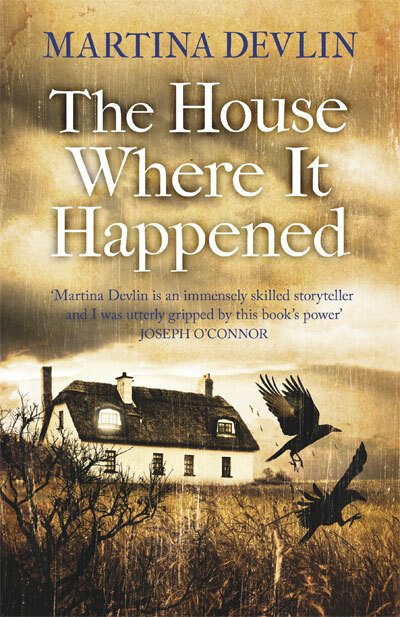 Martina Devlin’s latest book is The House Where It Happened, a ghost story inspired by Ireland’s only mass witchcraft trial. Other books range from the number one bestseller Banksters, a co-authored account of the Irish banking collapse, to Ship of Dreams, a novel about the Titanic. 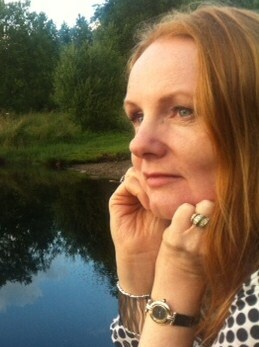 She has won a Hennessy Literary Award, the VS Pritchett short story prize from the Royal Society of Literature in London, and was shortlisted twice for the Irish Book of the Year awards. Why are you a writer? I have the storyteller gene. I grew up in the oral tradition, listening to both of my parents spin stories – particularly ghost stories. We took a lot of long car journeys when I was a child, travelling between my home in Omagh, Co. Tyrone and my mother’s home in Oola, Co. Limerick. My parents used storytelling to keep their seven children from whining. It works, you know. How do you balance the demands of journalism, your weekly columns and fiction? It’s called earning a living! Most writers are obliged to balance various commitments. As regards journalism versus fiction, I think of everything I do as communicating with people. The tone is different, of course, depending on the platform. Through the journalism, I try to make sense of the world around me. I also try to reach out and connect with people: I drop my rocks over the parapet and listen for an echo. The best part of having a newspaper column is being able to highlight subjects which might not otherwise attract attention. You’re a regular contributor to Sunday Miscellany – can you talk about that?The intimacy of radio appeals to me. I respond to the human voice without the distraction of visuals. And I like radio’s versatility – the way listeners can multi-task while tuning in. Sunday Miscellany is a quirky programme in a world where quirkiness isn’t necessarily valued. It offers a range of accents and experiences, and has an egalitarian core – contributions are aired by people at various stages of their writing careers. I enjoy taking part in the public broadcasts, when RTÉ goes on the road to literary festivals and so on, because it means direct contact with the audience. Where did The House Where it Happened come from? What drew you to the story? I read a snippet in a newspaper in one of those ‘it happened today’ columns which said that on this day in 1711 eight women were convicted of witchcraft in Carrickfergus, Co. Antrim. I was astounded to learn there had been a mass witchcraft trial in Ireland. I started researching it, and the more I discovered, the more engrossed I became. I decided I had to tell this story. It simply lodged in my brain. Mainly because of the eight women who were found guilty – the finger pointed at them by another woman. All were Ulster Scots, and Presbyterians, accuser and accused alike. Can you talk about your research? One of the most striking things for me about this novel is the level of authentic detail that makes the world feel real and multi-dimensional: how did you achieve that? The total immersion method: I read everything I could about the subject over several years. There are court documents and eye witness accounts, which were useful. I visited Islandmagee and Carrickfergus, where the book is set, and spoke to locals – 300 years didn’t appear to be such a distant era when I met them. Speech patterns are the same, people look the same, the topography is the same, names are the same. Books on other subjects published in the early 18th century gave me a feel for the nuances of the period. Elsewhere, the rational movement was growing, sceptical of traditional beliefs, but fear of witchcraft remained strong among the Ulster Scots. It helped that I grew up in the North, so I was familiar with the Ulster Scots community, although I don’t come from that tradition. Old newspapers informed me not just about international affairs and politics, but about social history. Their advertisements are a porthole into our ancestors’ lives – for example what people paid for the hire of a servant girl or the purchase of a horse, and what they wore and ate. The novel is hard to categorise, it’s a historical/ghost-story/witch story. Do you see that as an issue when it comes to selling a book – to a publisher, or in the bookshops? Why did you write it that way? That just seemed to be the best way to tell the story. I always think about the story first. Obviously, I’m keen for my work to be published, I don’t want my manuscript to languish in a drawer. But my primary responsibility is to the story rather than to fashion a tidy fit for a category. There are drawbacks with this approach. Some publishers were deterred by the Ulster-Scots dialect, others worried that a story about witches would deter male readers, while others felt the Antrim setting lacked broad appeal. There was interest in publishing it under a very well-known horror imprint, but I took a deep breath and said no, even though I didn’t have any other offers. I see The House Where It Happened as a ghost story in the long Irish tradition. I always wanted to write one – I grew up steeped in the genre. Anyhow, my agent Lucy Luck believed in it, and it found a home with Ward River Press, where I’m in good company. Many people dismiss historical fiction, but it seems to be staging a comeback in popularity. Would you like to say anything about that? For some of us, it never went away. Since childhood, I’ve always read it (Little House on the Prairie, Anne of Green Gables). 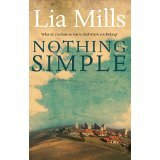 At its core, historical fiction is nothing more and nothing less than a compelling story – it’s not the setting which matters so much as the plot, the characters, the dilemmas. However, an interesting setting can add an extra dimension. The trick with historical fiction is to bring the past to life in the present: Hilary Mantel did that convincingly in Wolf Hall and Bring Up The Bodies. The antiquated language (‘verily, my liege’) used by some novels can form a blockage during the reading process. So can an excess of research plonked on the page in a wodge of information. It’s a high-wire act – but all fiction walks a tightrope. Yet your next novel is set in the future. What was it like to make the switch from past to future? Again, it just seemed to be the best way to tell the story. I never intended to write a book set in the future – at the risk of sounding like a hapless channel for words materialising from the ether, here’s what happened. A character came to me, and a dilemma, and it made no sense to set it either in the present or the past. Stories need to obey their own rules of logic. I don’t regard this book as sci-fi (there are no flying cars), although I suppose you could call it speculative fiction. It was quicker to write than either of my historical novels because I had the freedom to invent more about the environment and how people interacted within it. Historical fiction has a responsibility to get the period right, or a reader’s trust is squandered and the bond loosened. Nobody can accuse me of accidentally leaving radiators in Queen Anne drawing rooms in the next book because it’s my imaginary universe. Who are your favourite writers? Charlotte Bronte because she did something radical – she had Jane Eyre step out from between the pages of a book and speak directly to us: “Reader, I married him.” In those four words, Bronte dismantled one of the barriers between writer and reader. I visited Haworth Parsonage in Yorkshire, where she lived, and had to be dragged away by the others in my party, who wanted to do perfectly natural things like find somewhere to eat. I stood in the dining room where Bronte wrote, and imagined her pacing the table’s circumference at night, reading her own words aloud to herself (as we’re told she did). And missing her siblings, how she must have missed them – but carrying on. Until she married, when it all went dreadfully wrong. You are in the process of making your memoir The Hollow Heart available as an ebook: can you talk about that? The book still seems to sell reasonably well on the Internet, judging from the emails I receive, but it’s no longer readily available in shops, so I thought I might as well put it out there myself. I don’t know how that will work out – this is an experiment. I don’t feel a burning urge to post up my entire backlist as ebooks, but The Hollow Heart is different because it’s personal. What I really like is the idea of my books in audio format so that people can listen to them in the car or on a bus. I’m taken by the idea of a stranger, and my words, setting off on a journey together. That happens when someone opens a print edition or ebook, but an audio book represents a journey in both senses of the word. Best of luck with it – and well done, again, for writing such an engrossing novel as The House Where it Happened. This entry was posted in Fiction and tagged Banksters, Carrickfergus, Charlotte Bronte, Haworth, Hennessy Literary Award, Hilary Mantel, Irish Book of the Year awards, Irish Independent, Islandmagee, Jane Eyre, Lucy Luck, Martina Devlin, Omagh, Oola, Presbyterian, Princess Grace Library (Monaco), Royal Society of Literature, RTE Radio One, Sean O'Rourke, Ship of Dreams, storytelling, Sunday Miscellany, The Hollow Heart, The House Where it Happened, Titanic, Ulster Scots, VS Pritchett short story prize, Ward River Press, witchcraft. Bookmark the permalink. I knew she had come to Ireland, all right. Banagher – wow! That would be cool – a writers’ writing (or just talking!) weekend! I enjoyed that very much, Lia and Martina, and I look forward to hearing you both at the DBF, discussing historical fiction.